Being recognized for providing great service to customers? We’ll take it! That’s what we live for! 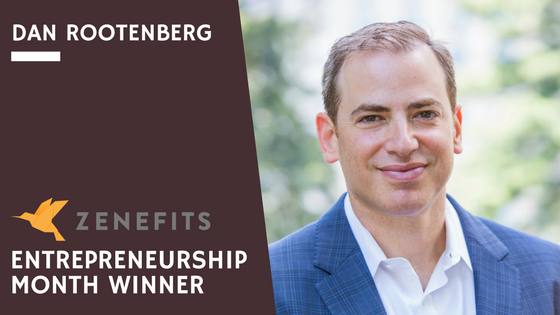 Thanks to our HR software business partner Zenefits, SPEAR recently received a National Entrepreneurship Month award for our “creativity, service to customers, and contributions to the economy.” Zenefits recognized a limited number of successful businesses back in November, and SPEAR was honored to be included. Zenefits is a valuable SPEAR business partner, and has helped us improve our recruiting and HR systems during a time of significant growth – as we’ve opened five new offices in the last two years. Thank you, Zenefits! We’re happy to serve our customers.